Information security teams are faced with the challenge of protecting critical enterprise data – such as corporate financial, credit card, personal identity, personal health, and intellectual property information – from both insiders and outsiders. 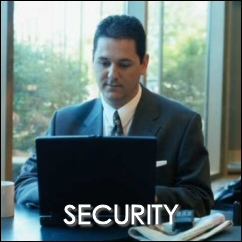 Additionally, businesses are always faced with the challenges of physical security and monitoring of the workplace. Doctrino Systems' database-independent technology enables your organization to enforce corporate security policies and prevent unauthorized or suspicious access to sensitive data. We have flexible and scalable solutions for professional video surveillance and remote monitoring. Our security and surveillance solutions are designed specifically for the banking and finance, education, government, healthcare, industrial, retail, telecommunication, and transportation industries.